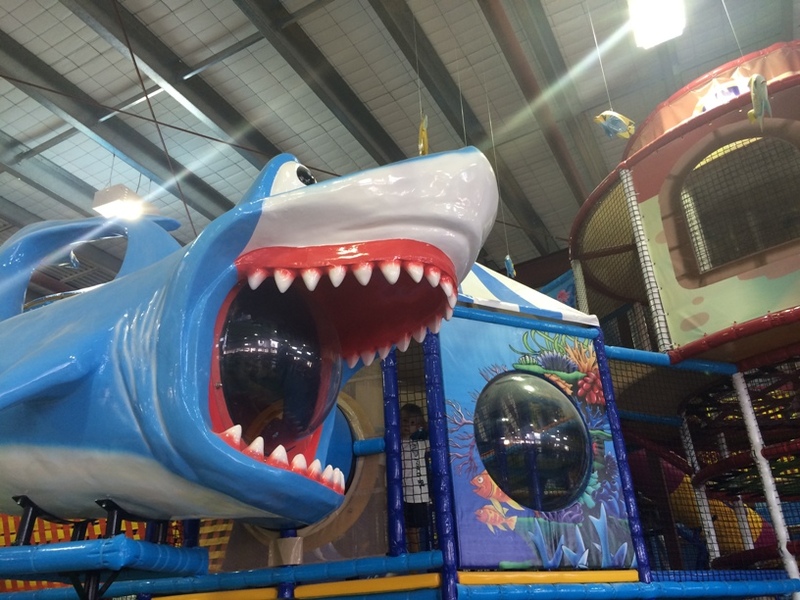 Atlantis Play Centre Clarkson is one of Perth's biggest, brightest, safest and funnest play centres. 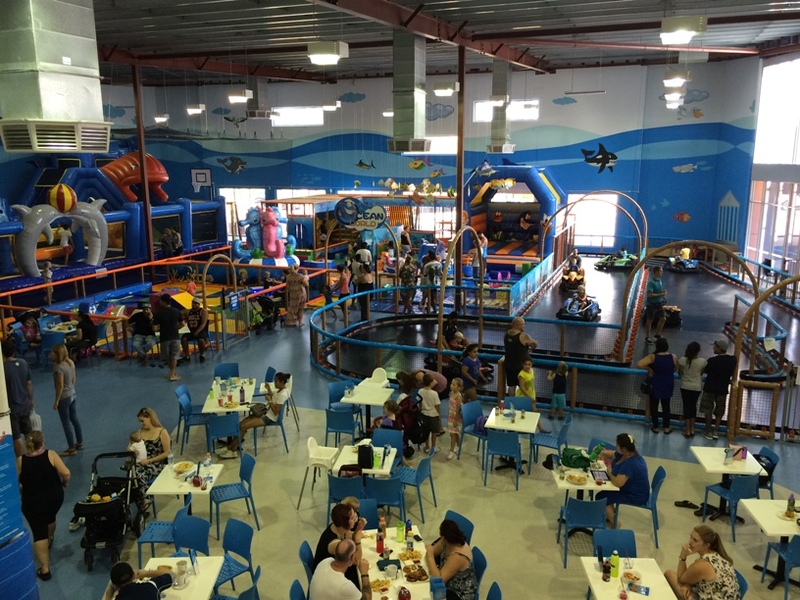 With sections to suit all ages, and a cafe, Atlantis is all you need for a fun day of indoors play. There is also a great under 4s area with inflatables, this fantastic inflatable merry-go-round, and lots of other soft toys to play with. This area is sectioned off with a fence and gate, and there is a staff member ensuring that only children under 4 and their parents / carers enter this area. 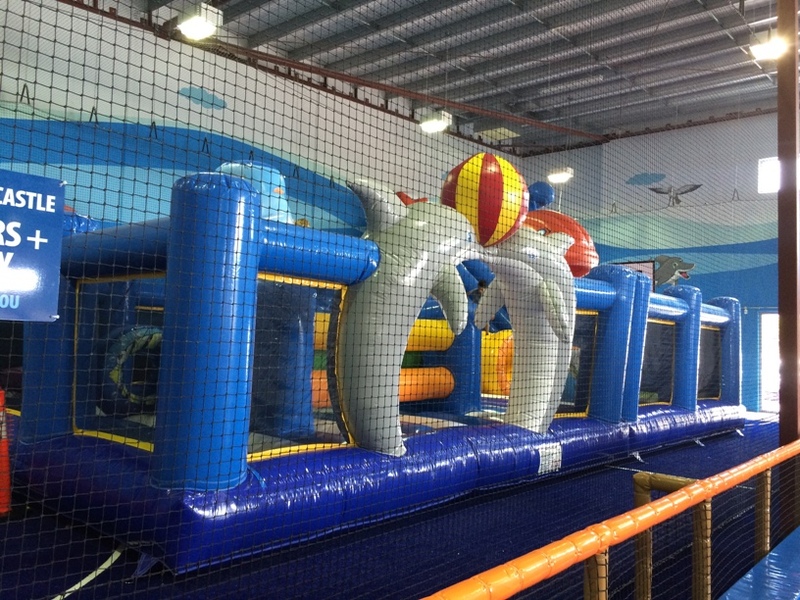 There is also a small under 2s area which is also enclosed with a fence and gate. 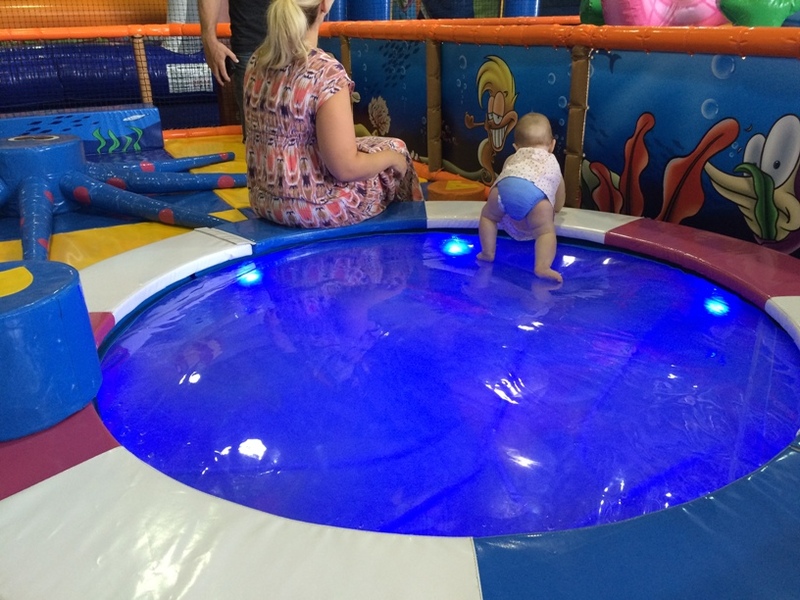 It features lots of soft play toys, and we absolutely love this water play pad. 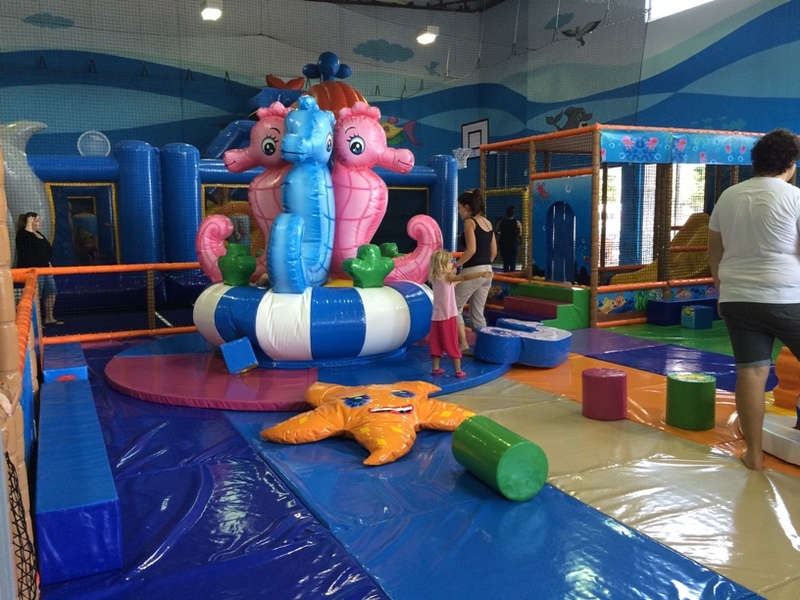 For the bigger kids 4 years + there is a special section with a giant inflatable obstacle course, basketball hoops and a soccer net. 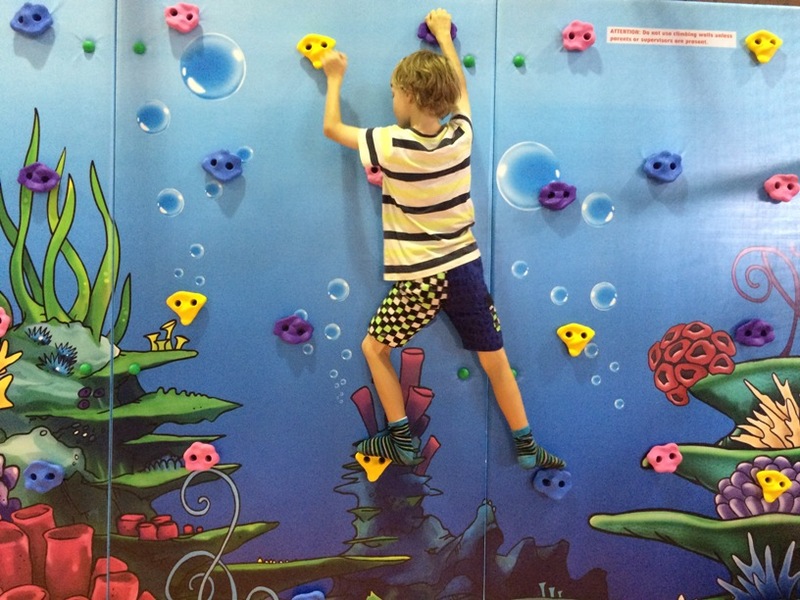 My 4yo loved the inflatable rock climbing structure in the middle. 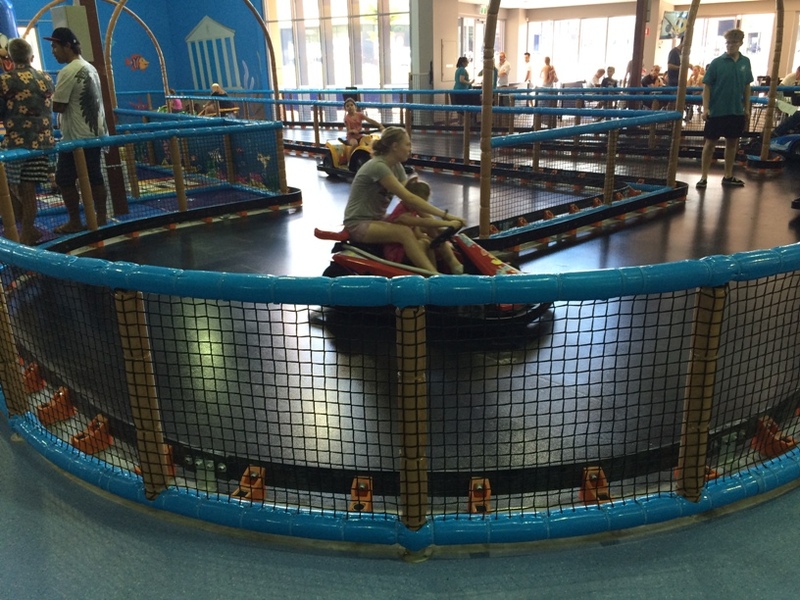 There is also a 40m winding go kart track. Adults can ride with younger children. This costs $4 in addition to your entry fee per child and tickets can be purchased at the gate. The cafe has a good range of kids meals, and other hot and cold, meals, snacks and drinks. There are kids meals for $8.50 and they have lots of healthy food options too. If you need a microwave to heat bottles or baby food, there is one available to use in the corner up near the cafe counter. There are lots of highchairs and there is free WiFi also available. 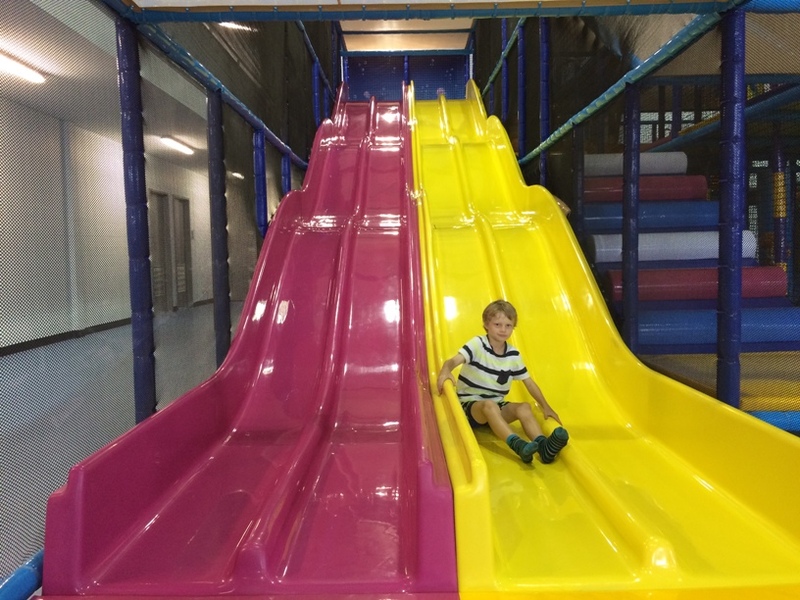 Atlantis Play Centre Clarkson is the perfect place to meet up with friends for some indoor play when it's too hot or raining outside. They are open 7 days per week, but note the close at 2pm during the week but are open all day weekends and most public holidays.